With the release of the iPhone 4 less than a week away, many readers are surely counting down the days until they can call Apple’s most powerful pocketable device their own. The iPhone 4 boasts hardware enhancements that will allow for more sophisticated applications of every sort — but especially games. Its “Retina display" packs four times as many pixels as the current iPhone into a display of the same physical size, yielding a 326 pixels-per-inch, razor sharp display that makes jaggies a thing of the past. The 1GHz Apple A4 processor, which is currently used in the iPad, will allow for more complex games with improved physics and AI. And, finally, there’s the gyroscope which will allow for incredibly accurate in-game motion tracking. During the WWDC 2010 keynote, we saw Steve Jobs demonstrate the new iPhone’s gyroscopic capabilities in a Jenga-like demo app. It was an impressive display of motion-tracking tech that went beyond what we had previously seen from the iPhone. After all, you need a gyroscope to pull off that kind of control, right? Developer Vishal Srivastava of Subversus Interactive might beg to differ. As TechCrunch reports, Srivastava, formerly with Microsoft, has created what he calls the “Perspectiverse Engine" that allows the iPhone 3GS and iPad to track motion in a fashion that yields seemingly impossible results from a device lacking actual gyroscope hardware. His system allows the user to manipulate their body in the physical world and see corresponding motion in the virtual world, making the iPhone or iPad feel quite like a window into that world. [The engine] uses a combination of device sensors to constantly align the game world with the real world. No matter how you orient your phone, north in the game universe is the same as north in the real world, south is south, up is up, down is down, and so forth. This allows you to interact with that game universe as if you were in it. And, I can tell you, it works far better than you’re probably guessing. 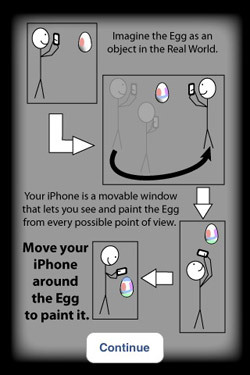 If you’ve got an iPhone 3GS or an iPad, you can give it a try right now with Srivastava’s Magic 3D Easter Egg Painter [App Store], a Universal entertainment title that allows you to paint a 3D easter egg by moving around it in virtual space. (And it’s on sale for $0.99 through this weekend.) The effect, even in this rather basic application, is pretty amazing. 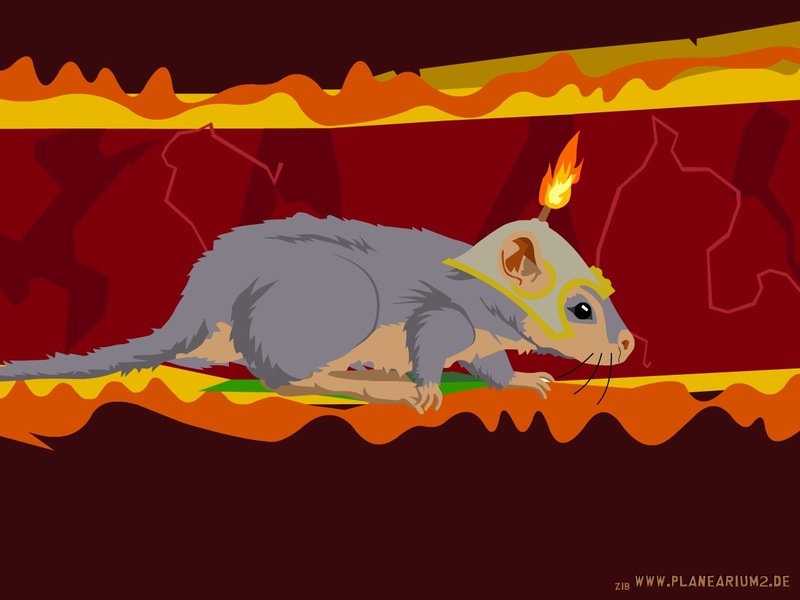 The developer will soon be releasing a rather more interesting game title called Gyromaniac (previously known as Colonoscapade) in which you move your body around in order to find your way through a human colon and various other internal systems. A demonstration video shows the app in action (and gives one much appreciation for the trials of poor Lemmiwinks). Srivastava began work on his Perspectiverse Engine long before we knew that the iPhone 4 would sport a gyroscope (it was put together last July, in fact). So, is he daunted by the news that came in the iPhone 4 unveiling? Not at all. The physical gyroscope will improve the accuracy of his engine on new hardware, while on supported devices which lack a gyroscope, the engine will do its thing to simulate one. And for other developers that like what they see in this system, Srivastava tells us that he is definitely open to the possibility of licensing the technology for use in others’ apps, but his first order of business is to build a range of apps on top of the engine that showcase its capabilities on current hardware.